Prominent Guyanese Attorney-at-Law, Nigel Hughes, says the country’s government must put ego aside and take steps to hire experts who can advise on negotiations with US super-major, ExxonMobil. Mr. Hughes, a Director on the board of the Guyana Oil & Gas Association (GOGA), was at the time responding to a question from a member of the public at a recently held lecture on local content. 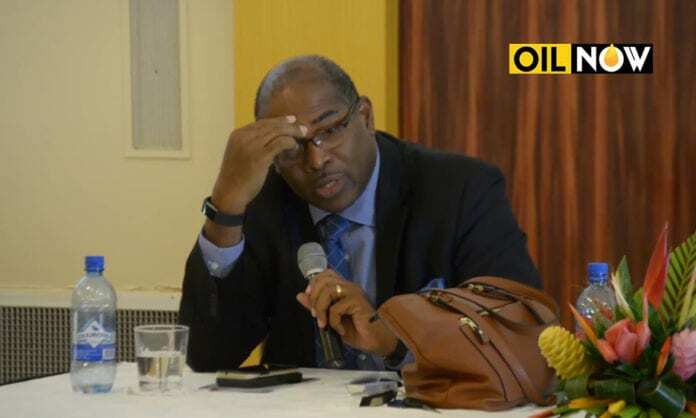 OilNOW has also attempted on several occasions to reach Mr. Trotman for comments on these and other matters in Guyana’s emerging oil and gas sector, but has not been able to do so. Mr. Hughes said while he is aware that Guyana’s President, David Granger, has identified someone to advise him on oil and gas, who is advising on negotiations with the company remains unknown. “In terms of negotiating with Exxon, which is really premier in the oil industry and can hire obviously the best on the planet, I think that we as Guyanese need, not only to acknowledge where we are in our…constraints…put the ego aside and hire real professional advisors to advice the government,” he stated. The Guyana government has come in for heavy criticism in recent months for lack of transparency in divulging information related to its agreement with ExxonMobil and other developments in preparation for first oil in 2020. The government says it remains cautious about sharing information about the contract due to a border claim by Venezuela which could find its way to the International Court of Justice (ICJ). However, both local and international experts and observers believe that much more information should be made available. ExxonMobil has since been issued with a production license by the Guyana government and is moving ahead with its final investment decision. GOGA held its fourth public lecture on Friday at the Pegasus Hotel Guyana, focusing on the development and implementation of local content in the energy sector. The lecture was delivered by Alicia Elias-Roberts, Attorney-at-Law and Lecturer at the University of the West Indies.